Home town heritage. | theraceforthecafe.com . 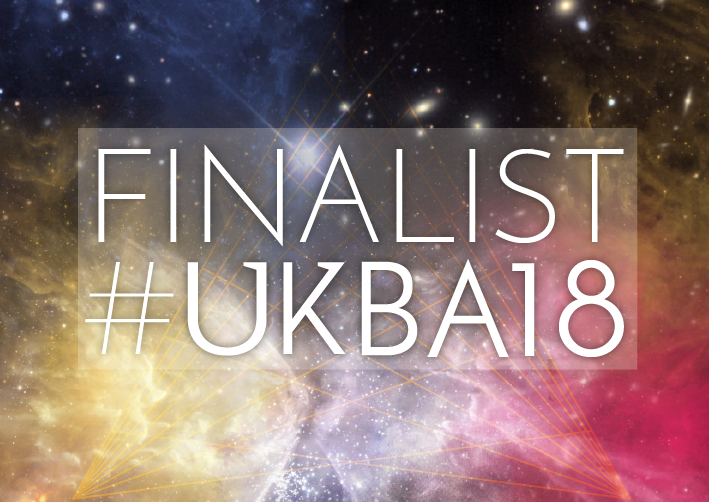 In 1827 the friction match was invented in Stockton by local chemist John Walker, unfortunately he didn't bother to take a out patent on his invention and he didn't actually make any money from it - so maybe old John wasn't such a bright spark after all - not impressed? What about the first ever rail journey by a steam engine? In 1822 George Stephenson's Locomotion Number One travelled between Stockton and nearby Shildon, an event that was to change the world for ever, now you must admit that was a biggy. 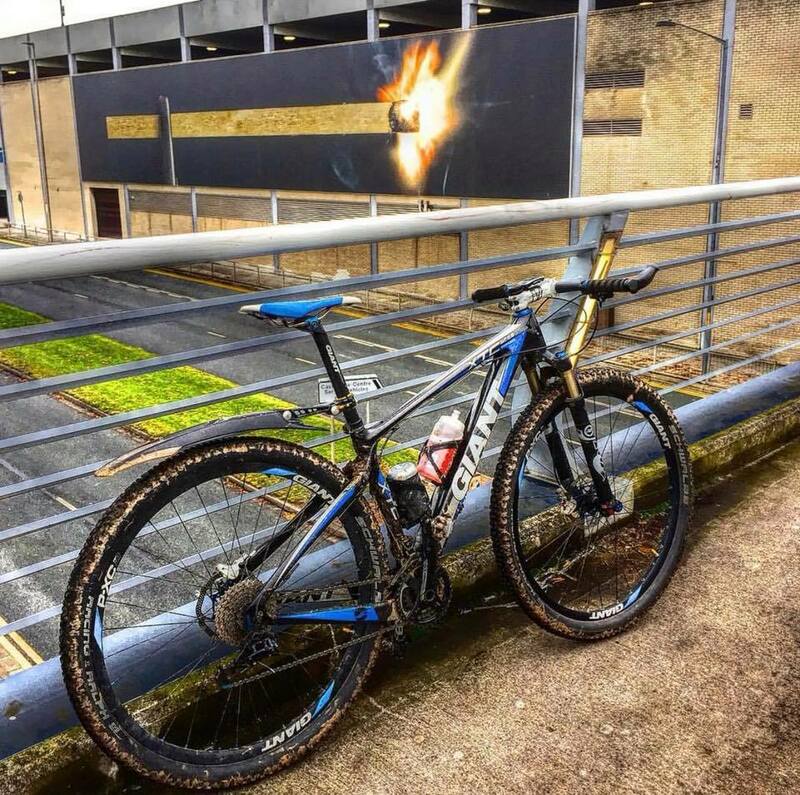 One of John Walker's giant matches and my Giant bouncey bike on Stockton-on-Tees riverside. Before I get to Stockton's cycling heritage first a little bit of historical context just to set the scene. The earliest years of the existence of the bicycle saw not only the development and manufacture of a new machine and form of transport but also the rapid development of a brand new sport. 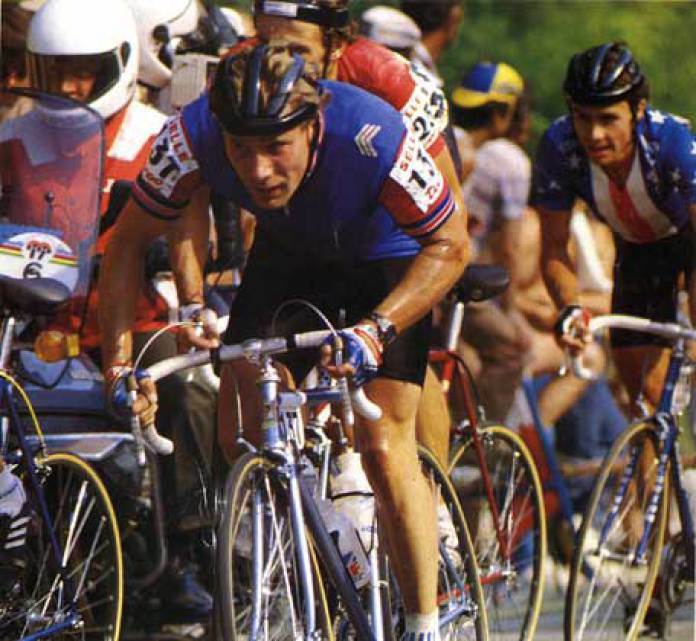 The first recorded bicycle race in England was held in the meadow of the Welsh Harp Inn, Hendon near London in 1869. Bicycle racing soon became a regular attraction at horticultural shows and athletic meetings which frequently also included exhibitions and sales of new bicycles. 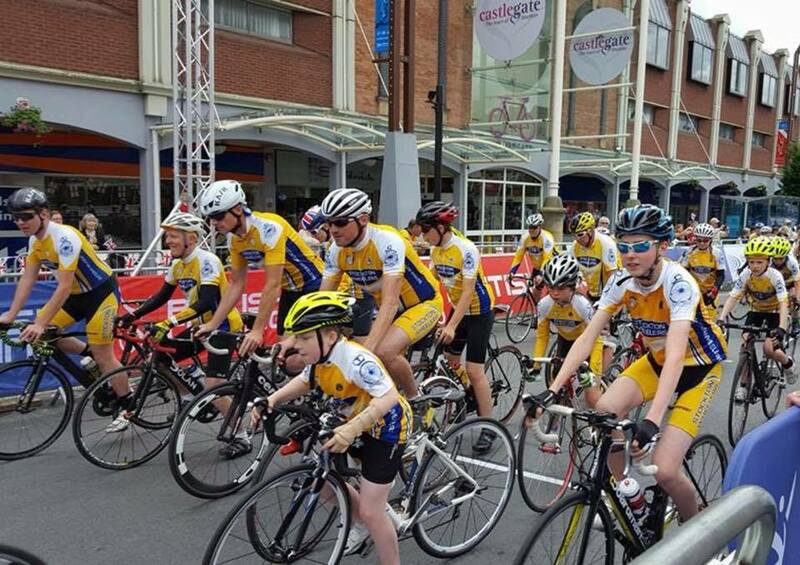 The first cycling club in Stockton-on-Tees was formed in 1878 at a meeting held at the YMCA in Dovecot Street. The club badge was the Stockton emblem of the castle and anchor and the club uniform was designated as a cardinal blue blazer and a straw hat with a blue band. 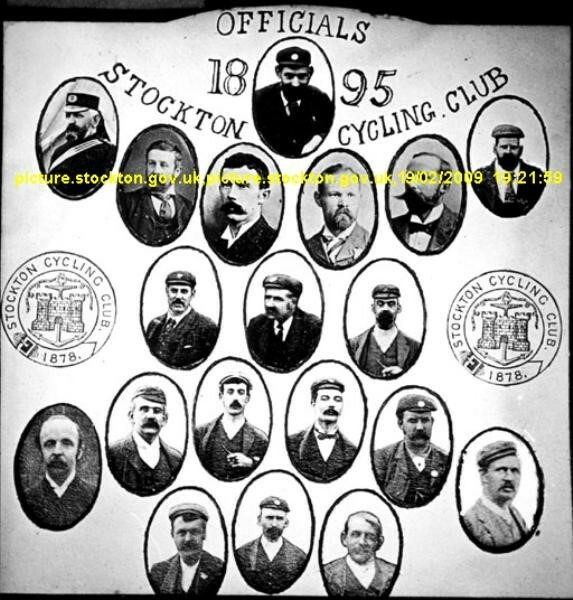 The joining fee was fixed at one shilling and sixpence and the Stockton Cycling Club was born. 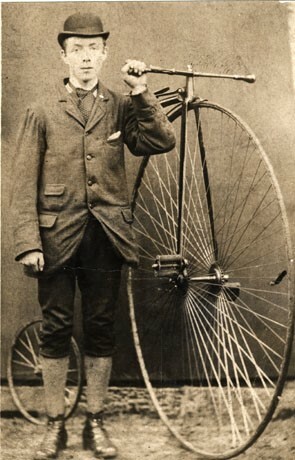 The bikes of the time were Ordinary's, also known as Penny Farthings or High Wheelers. The cost of an Ordinary was about £4 which probably put them out of the reach of most working class people. However, the Stockton Cycling Club owned a bicycle, there is a reference in the club minutes that it was donated by a Mr H Newburn and this machine could be borrowed by members to practice on for a small charge. The Ordinary was not easy to ride and somebody had to hold it steady to start a novice rider off. There must have been a certain amount of enthusiasm to practice riding as the club decided to acquire a wooden machine (which presumably was cheaper) which the members could use for free, and a rule was introduced that only those who had learned to ride on the wooden machine could mount the High Wheeler. On Good Friday 1878 a trial run was organised to the nearby hamlet of High Leven to make sure that all those who intended to ride on the Easter Monday were capable. The first official 'Club Run' from Stockton-on-Tees took place on April 4th 1878 and went to Mount Grace Priory, Stokesley and Great Ayton, a route that is around thirty miles with a few lumps along the way and a fairly tough ride on an Ordinary I would imagine. 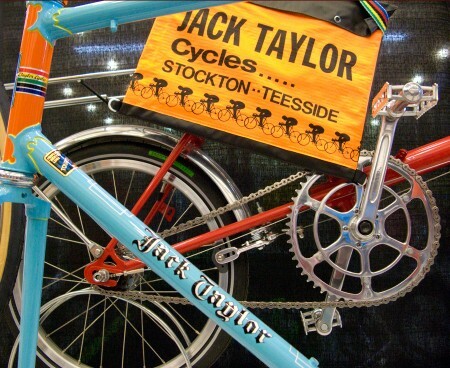 Any account of Stockton's cycling heritage has to include a mention of the towns well known bike builders the Taylor brothers. 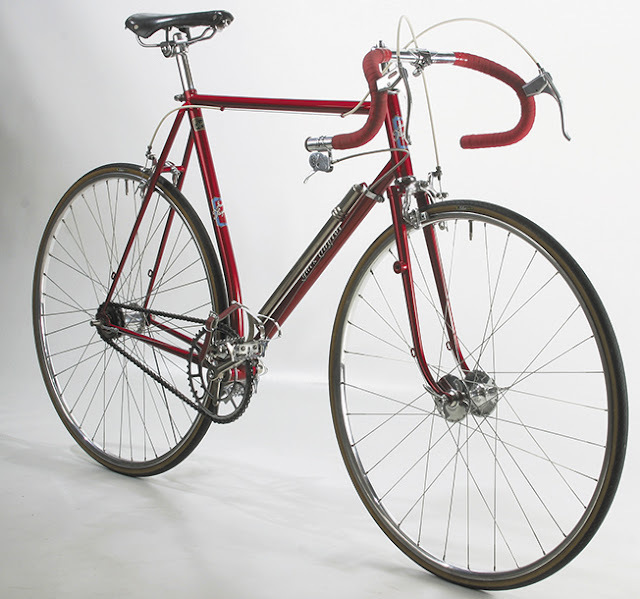 Jack Taylor started making light weight racing bikes in 1936 and was later joined in the business by his two brothers, Norman and Ken. In 1942 Jack bought a plot of land in Church Road in Stockton and despite war time restrictions which meant that they were only allowed to use £100 worth of building materials the brothers managed to build their own workshop on the site. 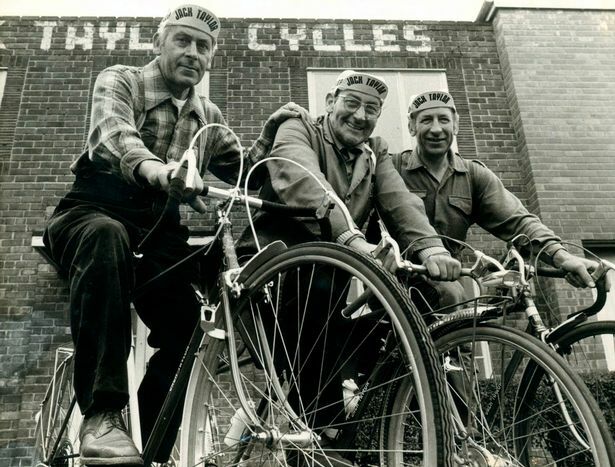 Above the Taylor brothers outside their Stockton factory, each of the three brothers invested £20 in to the business and with it they bought as much bicycle tubing as they could afford from the Reynolds Tube Company. A classy Jack Taylor lightweight with its distinctive curved seat tube - remind you of anything? 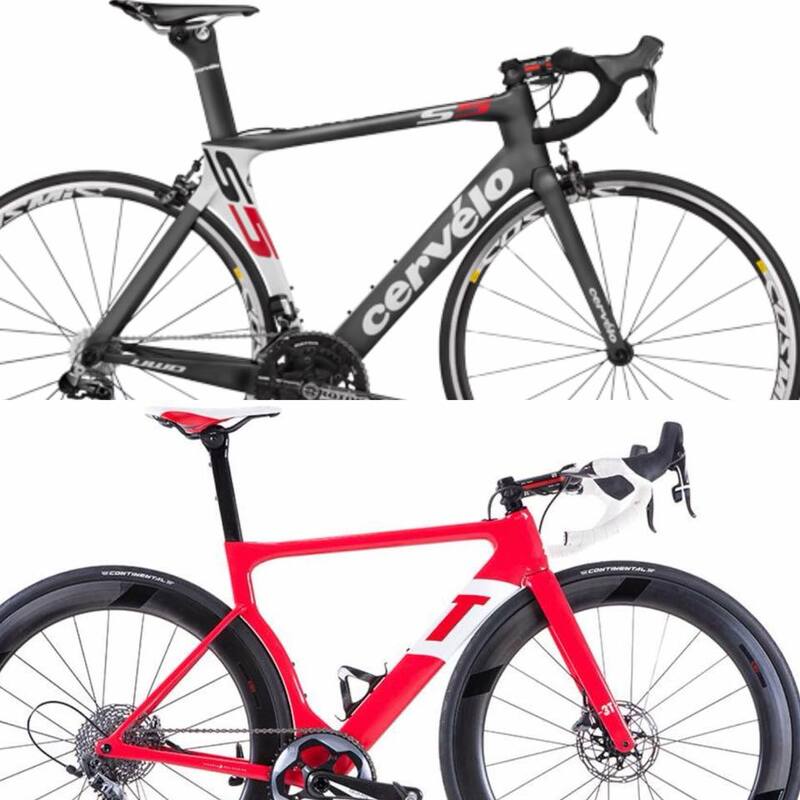 I wonder if renowned bike designer Gerard Vroomen (definitely not from Stockton) who founded Cervelo in 1995 with his partner Phil White was inspired by a Jack Taylor in his youth ? Vroomen is now part owner and head of design at 3T and responsible for their Strada model (above) check out his blog HERE GVBlog there is some good cycling stuff on there. Above - Paul Curran competing at the World Amatuer Road Race in 1985, his career came to a premature end in 1996 when he suffered serious injuries in an accident with a motorcycle at the Tour of the Pennines. Paul still lives in Stockton, still rides his bike and is still involved in the cycling scene in Stockton as Chairman of Stockton Wheelers and running a bike shop in the town PaulCurran-Cyclesport. So, Stockton on Tees, my hometown and a pretty good place to live if you are a bike rider and I haven't even mentioned the nearby iconic training routes of the North Yorkshire Moors, the Yorkshire Dales and Upper Teesdale ? I will do a blog post sometime. Another big event in Stockton's sporting heritage happened yesterday when Sockton Town FC won the second leg of their FA vase semi-final against Marske United and are off to Wembley on Sunday May 20th for the Buildbase FA Vase final.